Oil pulling is a simple but apparently powerful DIY practice (also known from Ayurveda) reputedly drawing toxins from your oral mucosa & destroying mouth germs while stimulating bodily eliminations and increasing metabolism, thus reportedly leading to various (sometimes dramatic) healing benefits and enhanced health incl. (apparently) whitening of teeth, fixing/fastening loose teeth, eliminating bleeding gums, stopping tooth sensitivity, decay & abscesses, and preventing cavities. See Oil Pulling Therapy: Effective Natural Detoxification, Stimulation of Elimination, Self-Help Cure and Prevention of Many Diseases Incl. Cancer?. Other oral benefits reported include the cleaning of a tongue that had been coated with a white-yellowish film, the healing of aphtous ulcers and a salivary gland infection, no more tartar forming, a growth in the parotid gland which developed after starting oil pulling (likely incipient beforehand) completely healed within six weeks in combination with an exclusively raw food diet. “I have always had sensitive and really weak teeth [but after one month of oil pulling] no tingling feeling and just an overall healthy feel in my mouth”, “oil pulling has … reinforced … loose molar”, “At first, my breath stank but I stuck with it and [after six weeks of oil pulling] my breath is now fresh and my teeth are strong”, “I had a brown discolored tooth and after 2 pulls the brown is gone. [Previously] I have had my teeth cleaned many times by a dentist and still had that brown tooth…”. Last but not least, personally I find oil pulling helpful to dislodge stuck food particles from between my teeth (particularly those I wasn’t even aware of and which vigorous water rinsing hadn’t managed to budge!). Researchers S Asokan, J Rathan, MS Muthu, Prabhu V Rathna, P Emmadi, Raghuraman, and Chamundeswari at the Meenakshi Ammal Dental College, Chennai, Tamil Nadu, India, studied the “Effect of oil pulling on Streptococcus mutans count in plaque and saliva using Dentocult SM Strip mutans test: A randomized, controlled, triple-blind study”. Researchers Sharath Asokan, Pamela Emmadi and Raghuraman Chamundeswari of the Meenakshi Ammal Dental College, Chennai, India, studied the effect of oil pulling on plaque induced gingivitis (published in the Indian Journal of Dental Research, this is a similar or identical study to number 1 above). Researchers A. Sharath, J. Jeevarathan, M.S. Muthu, V. Rathnaprabu, E. Pamela, R. Raghuraman and G.S. Chamundeswari at the Meenakshi Ammal Dental College & Hospital, Chennai, India, studied oil pulling with the objective of assessing “the efficacy of an Indian folk remedy, oil pulling therapy using Sesame oil (Idhayam oil) on oral health status”. Randomized controlled triple blind clinical trials were performed evaluating the effect of oil pulling therapy on dental caries (streptococcus mutans count in plaque and saliva) as well as plaque-induced gingivitis. Researchers T. Durai Anand, C. Pothiraj, R. M. Gopinath and B. Kayalvizhi of the PG Department of Microbiology, V. H. N. S. N. College, Virudhunagar- 626 001, India, studied the “Effect of oil-pulling on dental caries causing bacteria”. Researchers HV Amith, Anil V Ankola, L Nagesh of the Department of Preventive and Community Dentistry, KLES Institute of Dental Sciences, Belgaum, Karnataka, India, studied the “Effect of Oil Pulling on Plaque and Gingivitis” (published in the Journal of Oral Health & Community Dentistry). This study aimed to determine whether the claimed effects of oil-pulling therapy on oral health were just due to placebo. Oil pulling and toothache: after initially successfully trying salt water, beet green/spinach leaf/blackstrap molasses, a man told me that he “switched to oil pulling and had gotten more permanent results with that for my toothache as far as pain”. Another person wrote that “[within 3 days of] doing this [oil pulling] practice the pain [from a loose painful tooth] was eliminated completely” and the tooth solidly set. Your saliva’s pH is very important for your dental health, see Demineralization/Remineralization). To see what effect if any oil pulling has on my saliva pH, I have tested oil pulling by using pH test strips, measuring my saliva ph after getting up in the morning, after rinsing and cleaning my mouth with water and finally before and after oil pulling. After oil pulling, my saliva went from pH 8 to 7 to 8 again, i.e. became more acidic and then alkaline again. Vegetable oils apparently are very weak acids so it is unlikely that the dramatic lowering of pH from 8 to 7 was due to my mixing my saliva with oil but rather can be explained by acid toxins or food residues being drawn during oil pulling from the mouth, from between the teeth etc. According to a German naturopath, people who carry amalgam fillings shouldn’t do oil pulling since such a practice would draw even more noxious substances from the fillings into the mouth. I enquired with oilpulling.org asking them to comment but they had no data on this subject. Personally having no amalgam fillings I use oil pulling every day, and considering the potential benefits, I suggest you try including oil pulling in your dental routine as well. In case you should feel any initial aversion, it’s worth trying to overcome it… (remember – you are worth it ;-). I have not personally heard or experienced the following but wanted to pass on a warning I found on the internet maintaining that a number of people have reported pre-damaged teeth splitting while oil pulling and that they might wish to consult a dentist before starting the practice. Another one reported that after trying oil pulling a filling was loosened and all or part of the filling fell out. I frequently add antibacterial essential oils such as peppermint, rosemary or tea tree oil to the oil I use for oil pulling, tastes great and likely does much good in terms of fighting harmful bacteria. If you suffer from dry mouth, in addition to hydrating yourself with water and if possible eliminating any root causes (such as certain medications), swirling oil in your mouth may help to eliminate this condition (compare Dry mouth [xerostomia]: on causes, remedies & treatments of inadequate natural production of saliva). Judging by one person’s report that toothbrushing after oil pulling led to increased tooth sensitivity within a week it would seem advisable to not brush one’s teeth after doing oil pulling but if one wishes to brush, to do so beforehand. Conceivably, at least in some people, oil pulling will cause a temporary softening of the enamel. Since the oil only “pulls” between teeth and on the gum surfaces, I would always combine it with tongue cleaning to most effectively remove the streptococcus mutans “caries bacteria” which also reside on the tongue (more at Cleaning your tongue). Interestingly, you may not need to clean your tongue for long since health writer Erika Herbst observes in her book “Die Heilkunst von Morgen” that coated tongues typically yield to oil (or water – see below) pulling over time. Oil pulling in addition to its purported or observed general healing benefits, basically is a particularly thorough way of rinsing one’s mouth. Did you know that you can also rinse your mouth with (special) sugar and help heal cavities and gum disease? This at least is the experience of a number of people who have tried it and found it highly beneficial. For this different type of “pulling” shown to be highly effective against tooth decay and to heal periodontitis, see Rinsing mouth and brushing teeth with xylitol sugar. Perhaps the best news: one can also rinse with pure water and reap similar benefits! For details see Water pulling as effective as oil pulling for teeth and gums? First trial study shows no statistically significant difference in oral bacteria and plaque reduction potential. 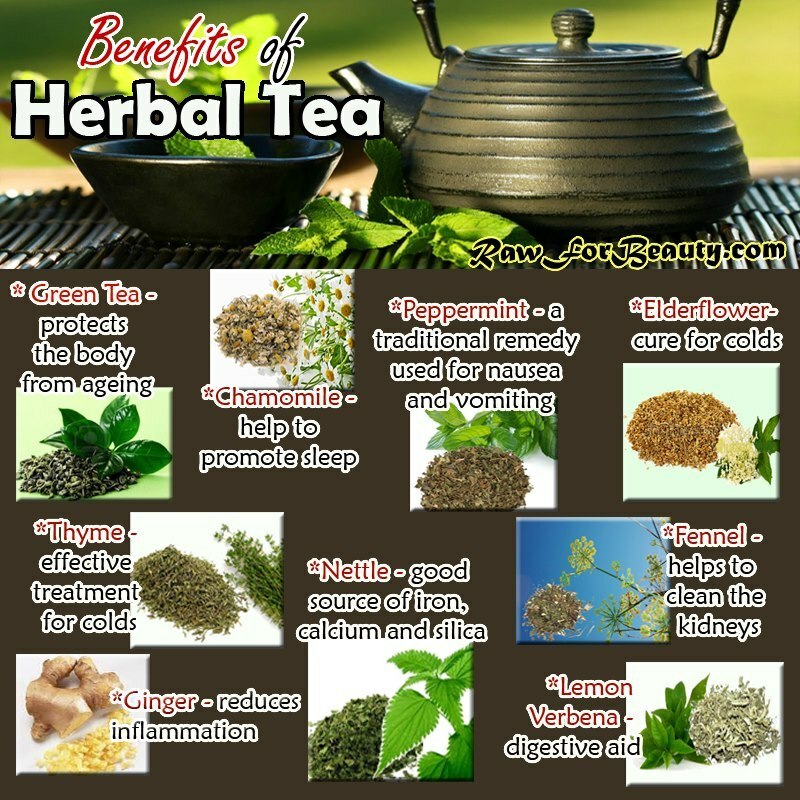 And if you use green tea or other herbs or substances with dental health benefits, you should do your teeth, gums and body an even greater favour (see the Dental Care & Oral Hygiene as well as Natural Remedies section for much herbal inspiration). The nettle herb is considered to be so powerful by some that legends say Jetsun Milarepa, one of Tibet’s most famous yogis and poets, lived on diet of nothing but nettle tea for years. Even further back, reports have been found that ancient Egyptians used a nettle infusion for the relief of arthritis and lumbago pains. Even Hippocrates and his followers reported 61 different remedies using nettle. Nettle herb, or Urtica dioica, is found in every single state in the US except Hawaii. While most consider it a pesky weed, others understand its true herbal value. The nettle herb is considered to be so powerful by some that legends say Jetsun Milarepa, one of Tibet’s most famous yogis and poets, lived on diet of nothing but nettle tea for years. Even further back, reports have been found that ancient Egyptians used a nettle infusion for the relief of arthritis and lumbago pains. Even Hippocrates and his followers reported 61 different remedies using nettle. Today, not much has changed. Naturopaths and herbalists still consider the nettle to be among the most valuable herbal remedies. It is probably best known for its use in overall prostate health. It has been used in Germany for more than a decade to address enlarged prostates, also known as benign prostatic hyperplasia (BPH), and has been shown to reduce symptoms by 86% after three months of use. Nettle does this by inhibiting the binding of a testosterone-related protein to receptor sites on prostate cell membranes. Nettle is particularly effective when used in combination with saw palmetto and Pygeum. Whereas saw palmetto protects against prostate enlargement caused by DHT, nettle root inhibits the proliferation of prostate cells in response to estrogen and SHBG. Many scientists believe that one of the major culprits in the development of BPH is the testosterone metabolite dihydrotestosterone. This is supported by the fact that men deficient in dihydrotestosterone do not experience prostatic growth, and that treatment with prescription drugs which inhibit the production of dihydrotestosterone can decrease prostatic growth. An increase in the ratio of estrogen to testosterone in elderly men indicates that estrogen may also be involved in the development of BPH. Studies have proven that extracts of Pygeum (unfortunately, now listed as an endangered species) and nettle root can effectively block the action of two enzymes involved in the body’s production of dihydrotestosterone and estrogen. Laboratory studies have shown that both pygeum and nettle root extracts were effective in inhibiting these two enzymes (5-alpha-reductase and aromatase) and that a combination of the two plant extracts was significantly more effective than either extract individually in blocking aromatase activity. Nettle is also considered an extremely effective treatment for allergy symptoms, most notably hay fever since it contains biologically active compounds that reduce inflammation. Dr. Andrew Weil, M.D., well-known naturopath and author of several natural health books, says he knows of nothing more effective than nettle for allergy relief. Positive evidence of freeze-dried nettle leaf in treatment for hay fever, asthma, seasonal allergies and hives was discovered in a study conducted by the National College of Naturopathic Medicine in Portland, Oregon. It’s interesting to note that Australians have been using nettle for years as a treatment for asthma, but Americans didn’t catch on to this until about 1990. Most notable about using nettle for allergy treatment is that over-the-counter treatments only treat symptoms and have some negative side effects such as drowsiness, dry sinuses, insomnia and high blood pressure. Nettle has none of these side effects and offers many other health benefits besides being a remedy for allergy sufferers. The benefits of this herb do not stop here either. It has been studied extensively worldwide for a variety of conditions. You will find that nettle has been used to treat all manner of issues including: Alzheimer’s disease, arthritis, asthma, bladder infections, bronchitis, bursitis, childbirth, gingivitis, gout, hives, kidney stones, laryngitis, multiple sclerosis, PMS, pregnancy, sciatica, and tendinitis! It’s even been used externally to help with baldness, oily hair, and dandruff. Nettle is used in many forms, including as teas, tinctures, fluid extracts, creams and even a freeze dried leaf capsule.